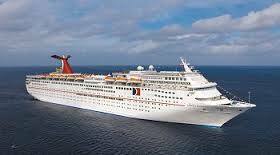 From Charleston, South Carolina, you'll embark on a memorable journey aboard one of Carnival Cruise Line's beautiful ships to the Bahamas. Visit exciting ports-of-call- on these four or five-night sailings. Please contact our office for pricing and further details. From Galveston, Texas, you'll embark on a memorable journey aboard one of Carnival Cruise Line's beautiful ships to the Western Caribbean. Visit exciting ports-of-call- on these four or five-night sailings. Please contact our office for pricing and further details. From Jacksonville, Florida, you'll embark on a memorable journey aboard one of Carnival Cruise Line's beautiful ships to the Bahamas. Visit exciting ports-of-call- on these four or five-night sailings. Please contact our office for pricing and further details. From Long Beach, California, you'll embark on a memorable journey aboard one of Carnival Cruise Line's beautiful ships to the Ensenada & Catalina. 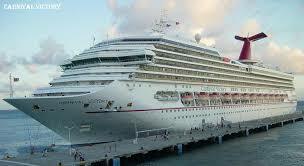 Visit exciting ports-of-call- on these three or four-night sailings. Please contact our office for pricing and further details. From Miami, Florida, you'll embark on a memorable journey aboard one of Carnival Cruise Line's beautiful ships to the Bahamas. Visit exciting ports-of-call- on these three, four-night cruises to the Bahamas and/or the Western Caribbean, and the Exotic Eastern Caribbean and Grand Cayman/Ocho Rios on a five-night sailings. Please contact our office for pricing and further details. 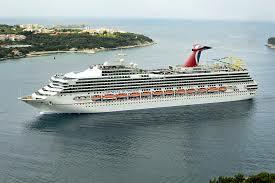 From Mobile, Alabama, you'll embark on a memorable journey aboard one of Carnival Cruise Line's beautiful ships to the Western Caribbean. Visit exciting ports-of-call- on these four or five-night sailings. Please contact our office for pricing and further details. From New Orleans, Louisiana, you'll embark on a memorable journey aboard one of Carnival Cruise Line's beautiful ships to the Western Caribbean on these four and five-night sailings. Please contact our office for pricing and further details. From Port Canaveral, Florida, you'll embark on a memorable journey aboard one of Carnival Cruise Line's beautiful ships to the Bahamas. Visit exciting ports-of-call- on these four or five-night sailings. 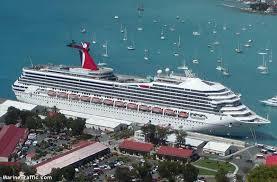 Carnival also offers a five-night cruise to the Exotic Eastern Caribbean. Please contact our office for pricing and further details. From Tampa, Florida, you'll embark on a memorable journey aboard one of Carnival Cruise Line's beautiful ships to the Western Caribbean. Visit exciting ports-of-call- on these four or five-night sailings. Please contact our office for pricing and further details.